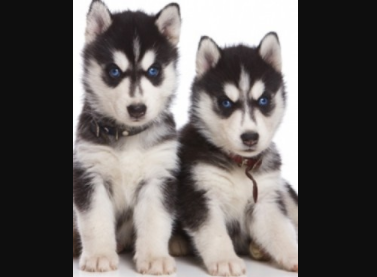 ArcticLegend Siberian Huskies is a professional kennel with a caring home atmosphere. Our facility is spacious and innovative. We are located in the Rocky Mountains west of Caroline AB where there is lots of space to run and play. 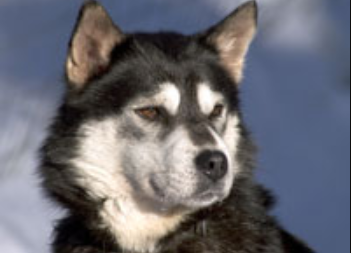 Our dogs have outstanding beauty, health and personality. 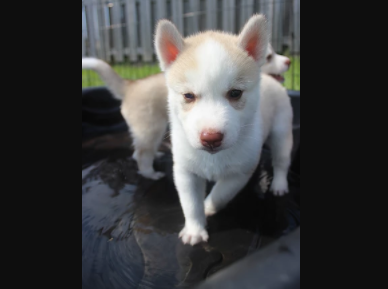 They are well socialized and love to be around people. 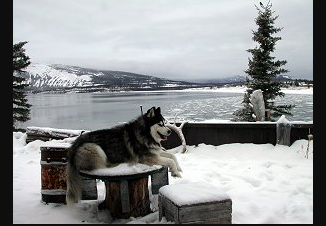 We started our “Purebred Siberian Adventure in 1996”. 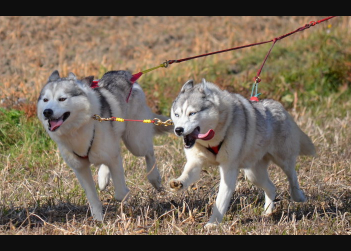 We are a husband and wife team who raise Siberians for show, pet and working sled dogs. 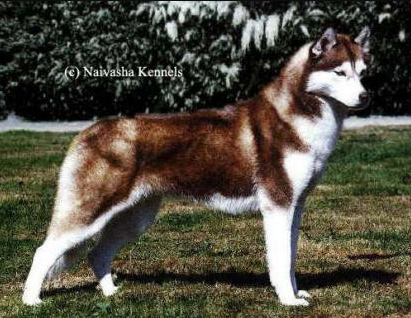 Terry had Siberians as a kid. He had the love of Sibes in him for years and decided he wanted to continue on his love. Rhonda was not a dog lover at that time, the idea did not appeal to her. But I agreed as long as I didn’t have to look after them. 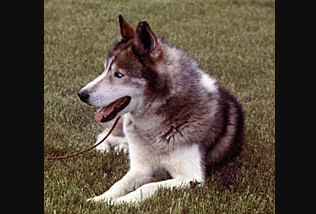 Terry purchased his first Siberian in 1996. 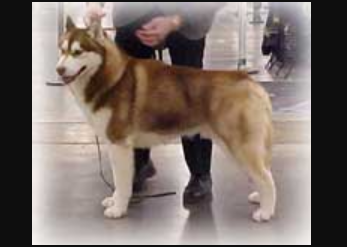 When we purchased our second dog Dancer, Terry decided to start showing her at dog shows. He developed the love for it, and our kennel started to grow, but my patience for dogs didn’t. January 2001, we received a call from a gentlemen in B.C. 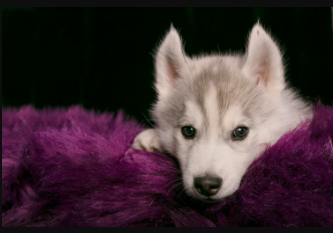 who was looking to purchase adult dogs. 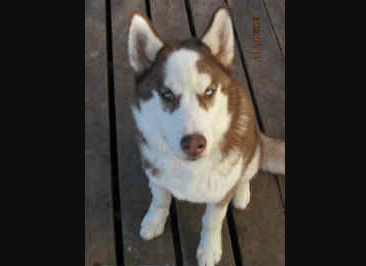 After being in contact with him a few times, we found out that it was for the Disney movie, Snow Dogs. 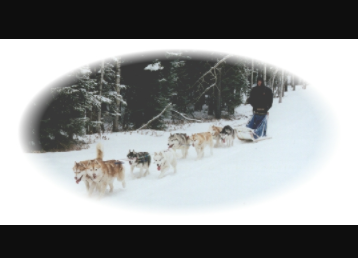 We were asked if we could bring our dogs and sleds and be background screening and extras in the movie. Terry had suggested that maybe it was time to spend some more time with the dogs and get to know them better. I did, and have never looked back. 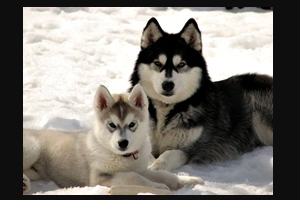 One of the highlights that we are starting to do, is going into schools and talking to kids about the “husky world.” This has been a lot of fun both for the kids and the dogs. 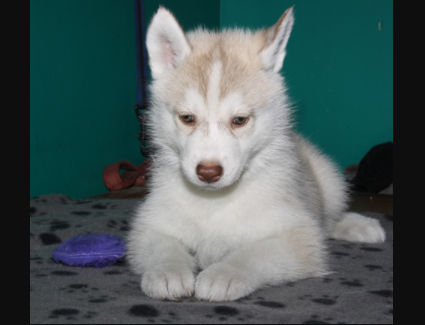 All visitors are welcome, so come on over for a coffee and have a look at our dogs.